Congrats!!! 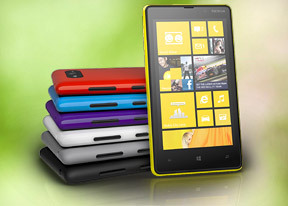 Window phone store has more than 1,45000 apps &amp; games. caron, 11 May 2013Hi..guys even me also buy the lumia 820.i ve one qus to u guys.How to share the videos via blu... moreSave your videos in pictures folder. Then it will show share option for video. U can check it by recording any clip in your mobile. Anonymous, 10 May 2013I have decided to buy 820. But what abt call voice clarity? Will this worth buying?I have been using this phone for 2-3 months approx..call quality is good.. Anonymous, 10 May 2013Hello,can anyone plz tell me how to stop the sms notification after sending a msg(deliverd, fa... moreGo to Messaging>>Settings>>in there there is an option of "SMS delivery Confirmation" just set it to OFF..ur good to go..
rms, 09 May 2013Never had a smartphone running windows phone 8, i like the interface and i would buy a lumia 8... moreHi, I am using 820 for the past 2 months..agreed the battery life is not good..but then which smartphone after using all the "Smart Features" and "Great APPS" does..haven't seen any..used Iphone 4S..its a simple logic if you use the smartphone as it is required then battery will drain.. So stop complaining..and start enjoying.. I am getting 8-10 hrs of battery life after listening songs..playing games..so i think U"ll be able to get atleast 15-18 hrs..that more than sufficient.. I hope you are not living in someplace where electricity comes once in 15 hrs..(for fun)..
sisufos, 09 May 2013there is a nokia program for your pc that updates your phone to the latest firmware/ os update... moreI think you meant the Nokia Care Suite which no longer works. OTA update really blows. Hate to say this, but iOS is still king when it comes to timely updates. AnonD-120709, 10 May 2013the phone gets heated a lot using 3G and not so with wifi on, any comments on thisYes, it gets hot on prolonged 3G usage. WiFi is fine. I have decided to buy 820. But what abt call voice clarity? Will this worth buying? Is it include the wireless charger and charging shell together with the phone? AMIC, 08 May 2013Hello.I have a question for the users of this phone.How is the scratch resistance of the screen ?it is awesome..!! no need for scratch guard.. but having a guard will save ur phone for many years..
rms, 09 May 2013Never had a smartphone running windows phone 8, i like the interface and i would buy a lumia 8... moreyep for sure...!! 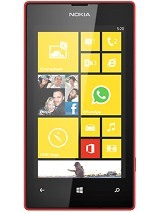 i am using lumia 820 oly.. same as u wish to use..!! it is standing for 56 hrs just like that..!! Where is the "File Explorer or File Manager" tool for Nokia Lumia 820. Bit difficult without the tool. AnonD-35008, 09 May 2013no...but can download music from nokia musicSo, did you mean we can't download music or ringtone files in waptrick.com or www.mobiles24.com using native browser? makokid, 09 May 2013just bought a very expensive 820 expecting a lot... this phone is a marketing BUST: packed wit... moreNever had a smartphone running windows phone 8, i like the interface and i would buy a lumia 820. I want something different than android and because i`m not a heavy user the lack of some features won`t affect me to much. Only one thing i wish to get: good battery life. 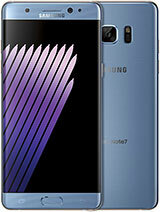 I have read your post and other reviews that say it doesn`t have good battery life. If i use it mainly for calls and texting and some internet browsing/apps occasionally can i get two days of usage?